Attend the International Celebration of Christmas, a celebration that brings together a diverse group of churches, singers & dancers for a celebration that highlights the true meaning of the holiday season. Free. Donations accepted. See a promo video here. 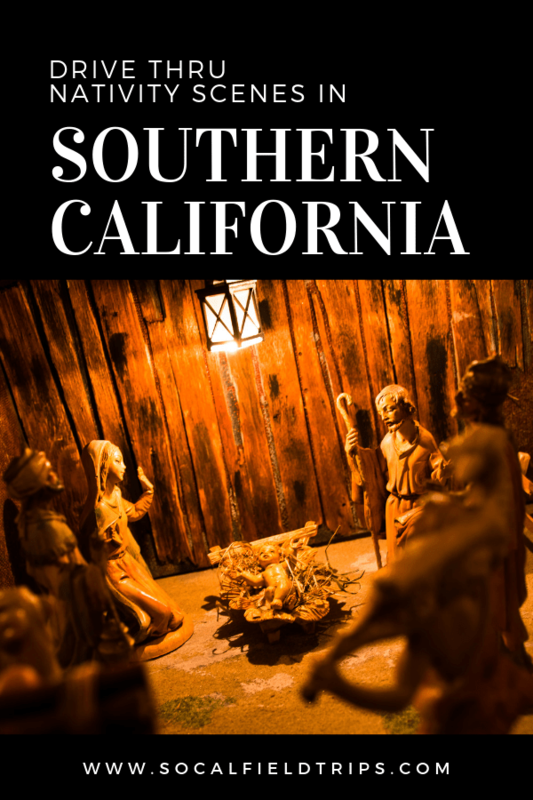 The most immersive living nativity in South Orange County! 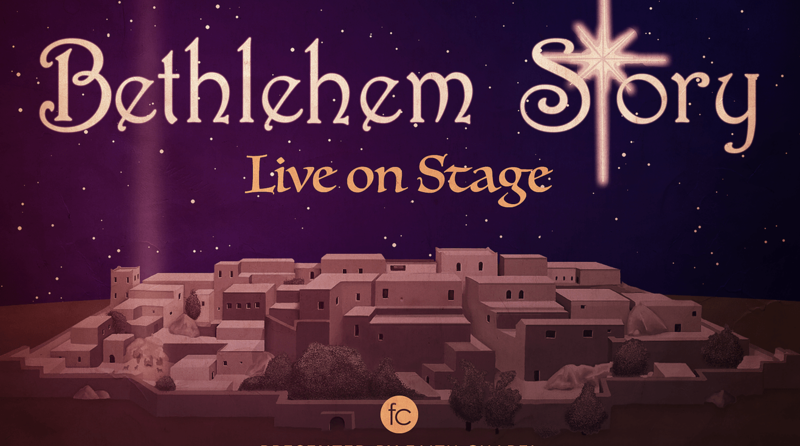 Come experience a huge cast bringing Bethlehem to life as it was 2000 years ago. Meet Mary and Joseph, The Three Wise Men, angels, shepherds, and townspeople. See live camels, sheep, donkeys and Roman Soldiers on horseback. Experience a petting zoo, cookie and craft decorating and holiday treats and hot drinks for everyone. Experience this life-size retelling of the Christmas Story from the comfort of your car. Live actors, animals and narration through your car radio! You can also enjoy the Drive-Thru Nativity on foot. 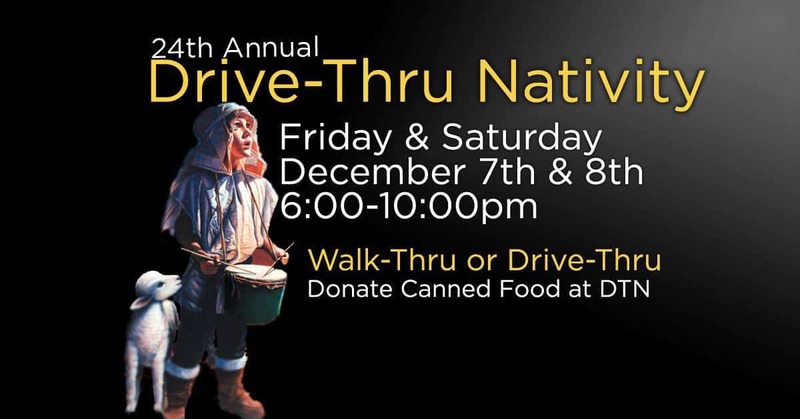 The church is also collecting non-perishable food donations at the Drive-Thru Nativity to support local families in need. Bring the whole family to this annual free event, a Mission Viejo community Christmas tradition since 1994! 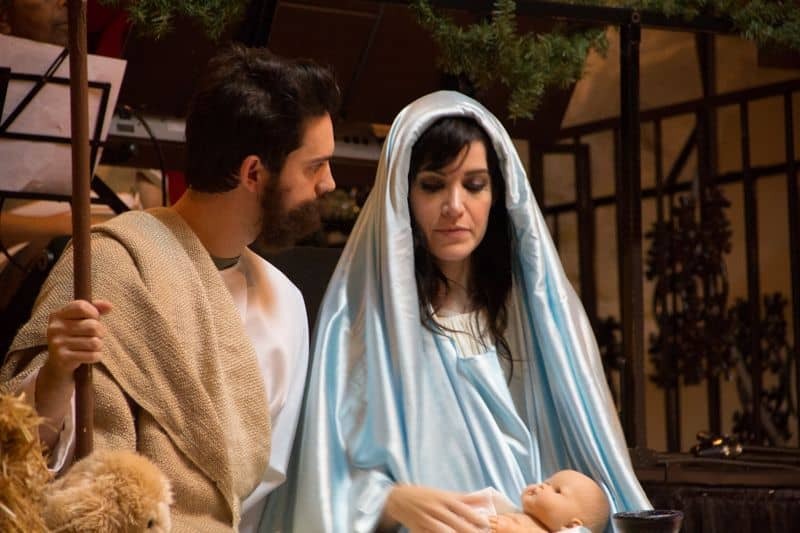 Experience the interactive live Nativity at the recreated town of Jesus’ birth! Come to Explore Bethlehem, the fantastic and free event for the whole family! Children can take a FREE camel ride, make candles, create pottery, make their own perfume, make leather projects, hear great story-telling, and get their picture taken with live animals! 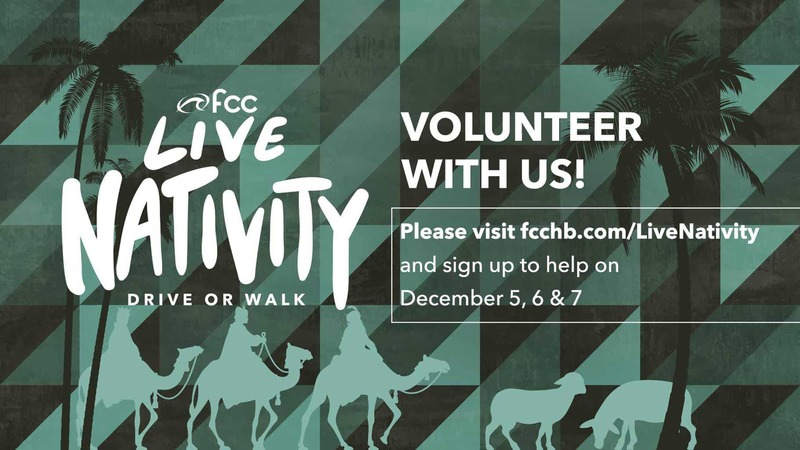 Come and experience the live Nativity, the songs of Christmas and much more with your kids, family members, friends and coworkers to get into the Christmas spirit. See a live video of the live Nativity here! The “Portraits of the Prince of Peace” Pageant has been a Long Beach tradition for over 40 years. 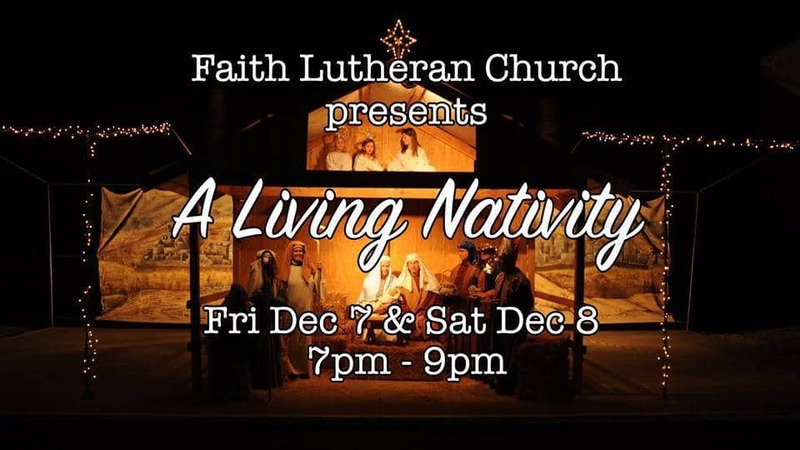 Through the combined efforts of 6 different Churches the story of the birth of Jesus is presented in a fun filled way with music, live actors, beautifully decorated murals, as well as, and live animals. The Pageant starts on the South East Corner of Bellflower & Wardlow, in front of St. Cornelius. Brought to you by St. Luke’s Lutheran, University Baptist, St. Cornelius Roman Catholic, Long Beach Christian Reformed and Calvary Chapel Long Beach. Free parking is available at all the churches. Come experience the living nativity! 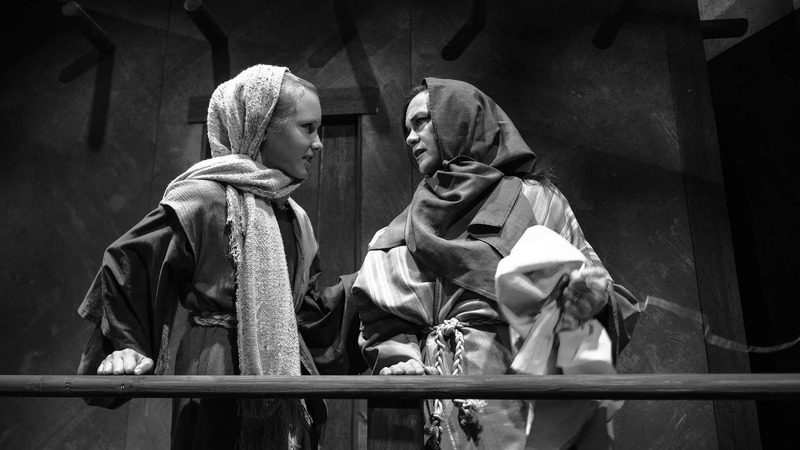 The 10-scene walk-through drama recreates pivotal moments surrounding the birth of Jesus Christ, from the Angel Gabriel’s appearing to Mary, to Caesar Augustus’ devious census declaration, to the ecstatic singing of the heavenly hosts at Jesus’ birth. Elaborate set decorations, a life-sized manger, dozens of live animals, Roman soldiers, and a chance to see exotic animals and baby animals up close in our Petting Zoo! 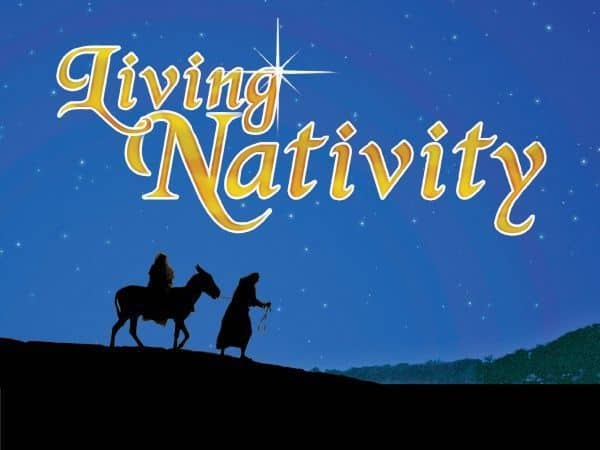 The Living Nativity Outdoor Drama and Marketplace opens at 5:00 pm and includes outdoor fire pits, hot cocoa, food trucks, tons of vendors, and lots of unique gift ideas. Dress warmly! Outdoor bleacher seating is handicapped accessible for wheelchairs and walkers. 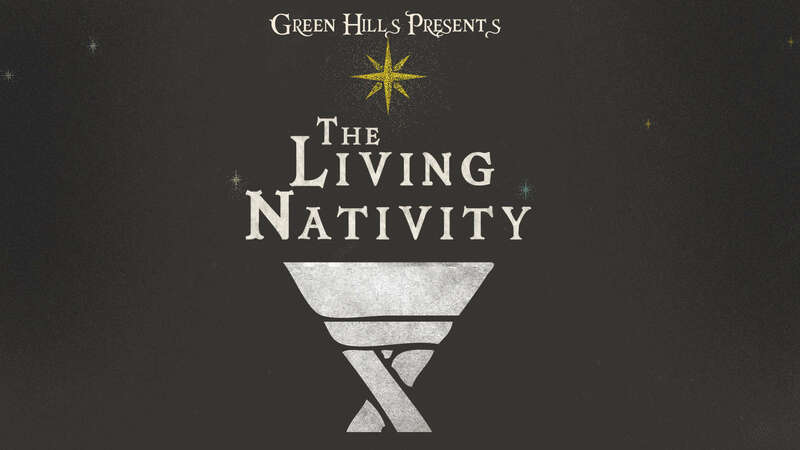 To enhance the Nativity experience, this production is a ticketed-only event. Shows run nightly at 6:00 pm, 7:00 pm and 8:00 pm. $5 early-bird ticket price until December 2, then tickets will be $7 each. Group discounts of 10 or more available for 25% off. Children under 2 years old are free. 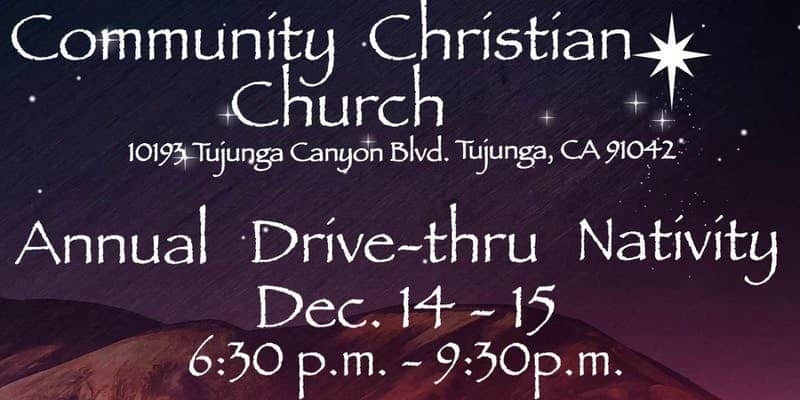 Come join the Tujunga community for two nights in the little town of Bethlehem, as you get to experience the story of Jesus’ birth! Walk or drive-thru and see Mary and Joseph’s long journey, the angel’s heavenly proclamation, and the wisemen with their gifts. This event is free. See a live video of the Nativity here! Ontario Nativity scenes include religious creches exhibited on the Euclid Avenue median in downtown. Protected by wooden shelters, the dozen Nativity scenes between D and G streets tell the story of Jesus’ birth. 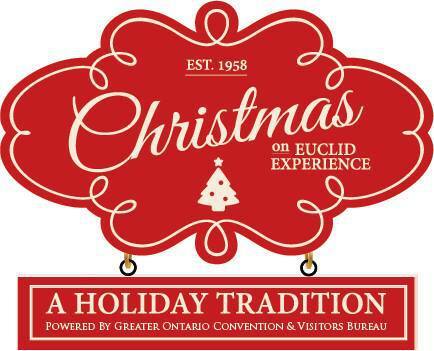 For 55 years, it has been a tradition for the scenes to go up in Ontario – through the help of volunteers – on the weekend before Thanksgiving and come down the first week in January. Shalom! 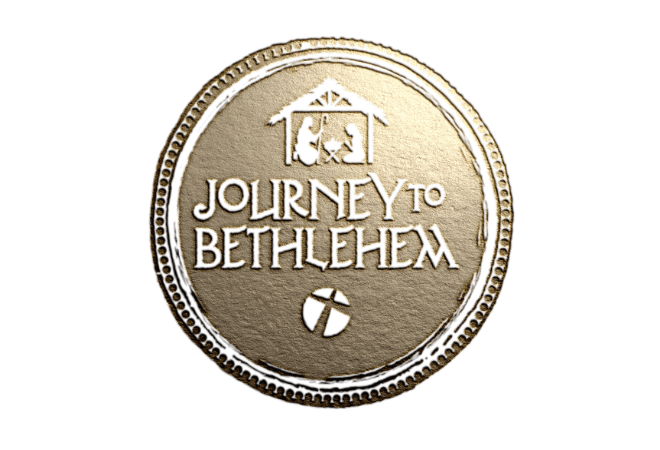 Journey to Bethlehem at Purpose Church for a living history event that will give you a glimpse into what life may have been like over 2000 years ago. Sign the census, avoid the Roman soldiers, interact with the potter, weaver, carpenter, and other merchants. Spend some shekels, visit the animals, and make your way under the giant star to discover the new born King, baby Jesus. Entrance and parking are free. Food is available for purchase at our Bethlehem café. Enjoy some lentil stew, beef kabobs and citrus punch to experience a taste of the time! Admission is $5 for adults and FREE for children 12 and under. Watch a preview video here. This Christmas season come to see the Christmas story as told in the Gospel of Luke live on stage. Encounter Mary and Joseph as they travel from Nazareth to Bethlehem, witness the announcement of the birth of the Christ child, learn of the great census and visit with citizens of Bethlehem as they experience the extraordinary event that changed the world forever, the birth of the Messiah. See a great promo video here. Due to construction projects occurring around the church property, this year’s Bethlehem Story will not take place outside. The production will be presented as a live stage musical performance inside the main auditorium. A ticket will be required for each performance. There is no charge for any performance, but it will be necessary to show your printed or phone-based ticket to enter Bethlehem. Free to the public, Bethlehem Walk invites visitors to experience a re-creation of the traditional birthplace of Jesus. 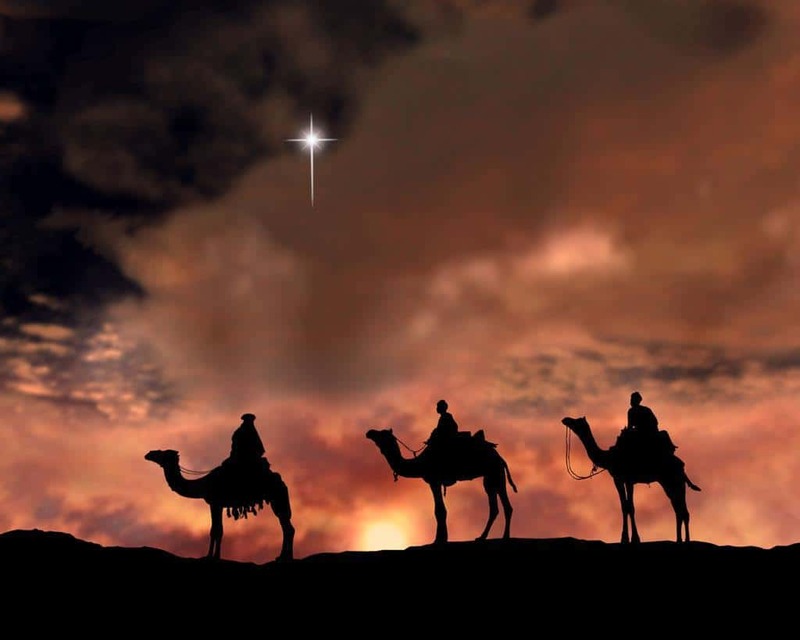 Bethlehem Walk is set in the time of Caesar Augustus, the Roman Emperor who decreed that a census be taken and set in motion the event we now celebrate as Christmas: the birth of Jesus Christ in Bethlehem. Upon entering the lively city, the thousands of visitors that come to Bethlehem Walk each year embark on a guided tour through masterfully-staged open areas of the church grounds. With live artisans, animals, merchants, prophets and Roman soldiers, visitors become part of the nativity story as they make their way through bustling streets to the inn and, finally, to a real, newborn baby kept warm in a manager. Bethlehem Walk tours begin every five minutes during designated times. Reservations are highly recommended and are provided priority entrance in the tour groups. Reservations are open to the public starting at 8:30 am on Monday, November 26. You are welcome to come to the event as a walk-in too. However, as a walk-in your waiting time may differ according to time and day. Because Bethlehem Walk is outdoors, participants should dress appropriately. The event will not be cancelled due to inclement weather. The event is family-friendly and handicapped accessible. 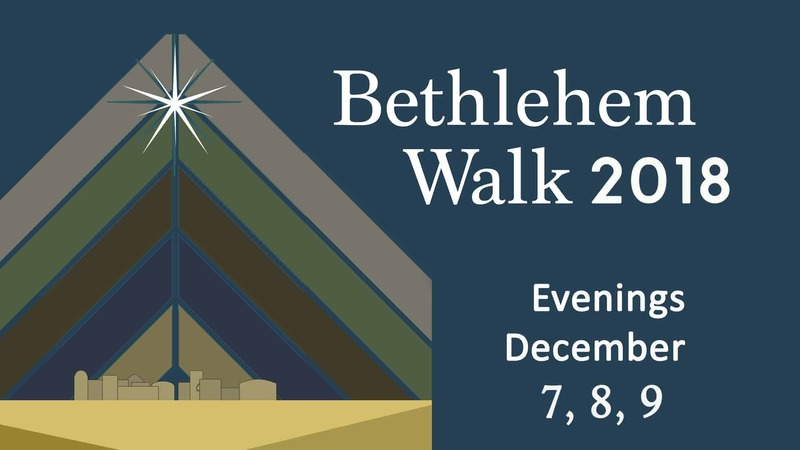 Bethlehem Walk guests are encouraged to bring donations of nonperishable food items for Interfaith Community Services. A longtime Julian holiday tradition, the Living Nativity is staged at the Cider Mill on Main Street, it features locals appearing as Joseph and Mary, and the shepherds. Attend Downtown Ventura’s Annual Christmas Tree Lighting Ceremony in front of the Mission! Enjoy caroling from local choirs, meet Santa and countdown to the lighting of the Mission’s historic (c. 1880’s) Millennium Norfolk pines. A live Nativity sponsored by Holy Cross School is held on the front steps of the Mission. The festivities include a Christmas Village with a variety of booths including food and beverages for the family in Figueroa Plaza and canned food Christmas trees sponsored by Food Share. Main Street will be closed in front of the Mission. Bring a chair if you wish…and a warm coat! Parking is available in the Mission Main Street lower lot, at the Ventura County Museum, and in the Mission upper parking lot off Palm Street. Experience the wonder of a “living nativity”. 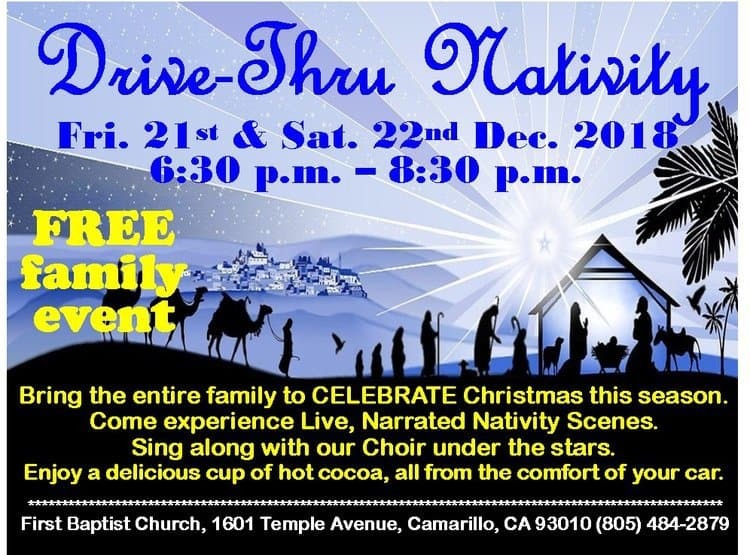 Drive-up to see the Living Nativity or park your car and enjoy hot chocolate by the fire while listening to music. Look for the searchlight in the sky, to guide your way. They will also be collecting donations of cash or canned food to support the Moorpark Food Pantry. The birth of Jesus Christ will be depicted in “drive-through” Bible scenes. You can sing along with a live choir with the windows down and have a warm cup of cocoa. Spanish narration available. You will see the true Christmas Story come to life right before your eyes! See Mary riding on a donkey, the Wise Men riding on magnificent camels, sheep by the manger, and then enter a toy shop where toys come to life. Plus you will be treated with hot chocolate, cookies, candy sticks, & more. And it’s all Free! 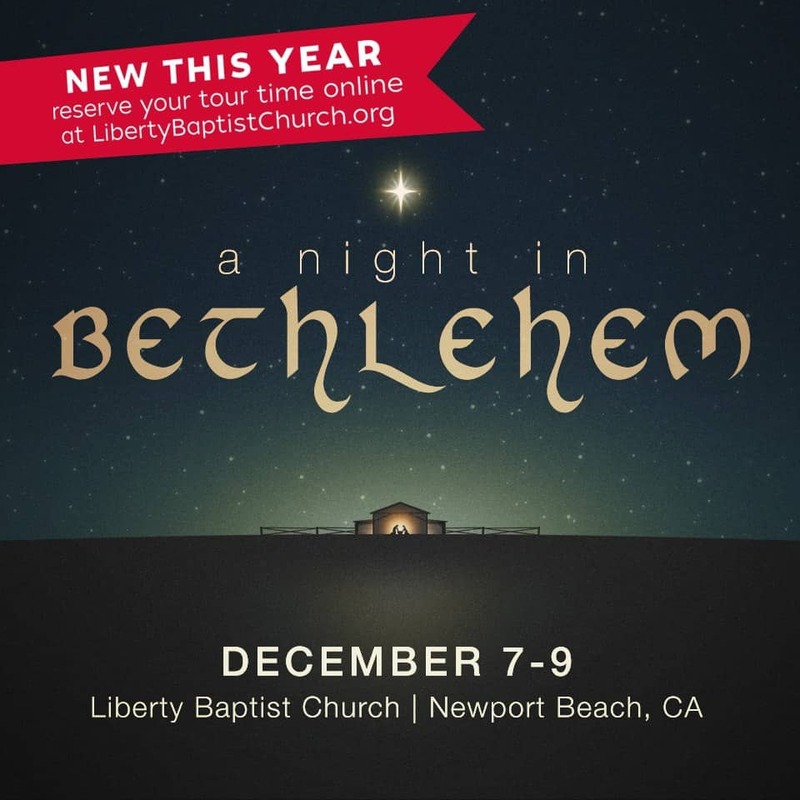 There is the Night in Bethlehem in Newport Beach as well.. Which one are your referring to? Sorry, I thought this posted under the comment regarding Granite Creek in Montclair. We went a couple nights ago and absolutely loved it. Yes, the bleachers are cold but so what. Bring a blanket or rent one for a $1. Will definitely go next year and feel very blessed to have gone this year. Blessings to all!! !